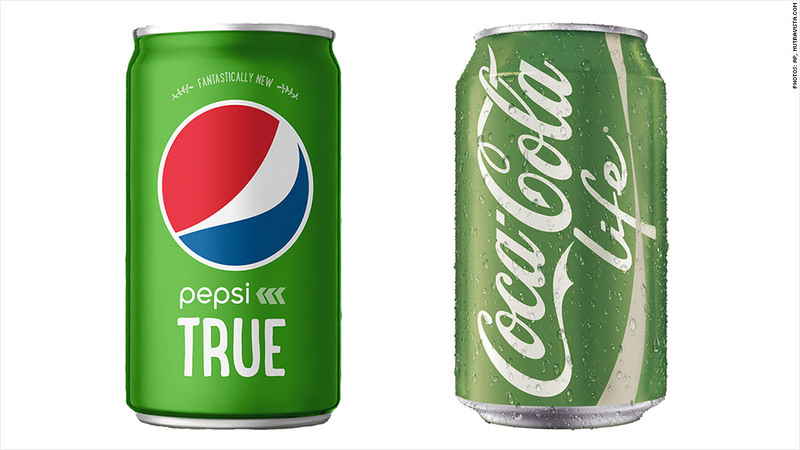 Pepsi and Coke are trying to lure health-conscious consumers with green cans containing stevia, a natural sweetener. PepsiCo (PEP) is rolling out its product, Pepsi True, in mid-October, but it can only be purchased online through Amazon (AMZN). Coca-Cola (CCE) has already been selling its stevia soda, Coca-Cola Life, in Argentina, Chile, Great Britain and Mexico. 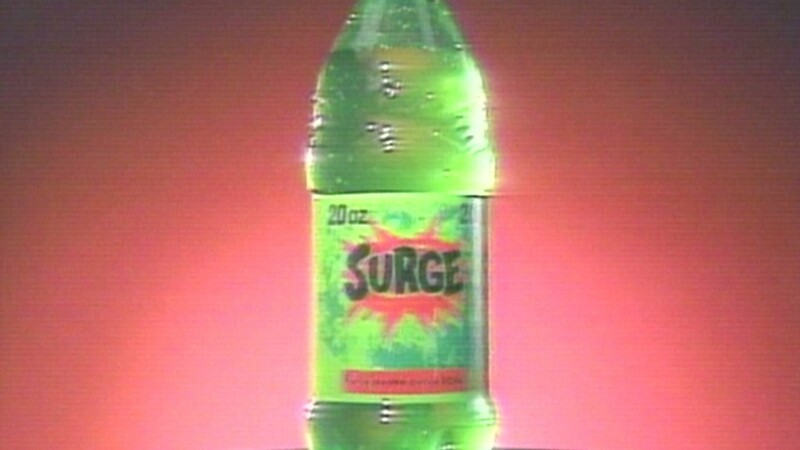 The product made its U.S. debut in August, but only in Southern states like Georgia, Florida and North and South Carolina. In November, Coca-Cola Life goes nationwide. Pepsi says its stevia drink has 30% less sugar than regular Pepsi and does not contain high fructose corn syrup or artificial sweeteners. Coke says the 8-ounce bottles of Life contain 60 calories, which is 35% fewer calories than other sodas. The low-calorie product launch follows on the heels of an industry-wide effort, announced last month by Coca-Cola, PepsiCo, Dr. Pepper Snapple Group (DPS) and the American Beverage Association, to reduce beverage calories by 20% by 2025.